Any time of the year is the perfect time to do some home improving. For those who are looking into upgrading their home, you want to make sure you make improvements that will add value to your home. Whether the updates are to get your home ready for sale or to enjoy and get the most out of your living space, there are five home improvements that are the most common and most valuable. A home should have curb appeal. It is important to take just as much pride and put just as much work into the front of your home that you would put into the interior. The proper landscaping will speak volumes for the home as well as have people dying to know what exactly is inside. A well-kept lawn and trimmed bushes are always important. To add some aesthetic, plant flowers along the front of the home as well as plant some trees. The exterior of the home itself should also have some improvements. Fresh paint on the exterior of the home and an updated porch will tie the whole front of the home together. The front entrance should be updated with a new door. Gutters should be reinforced as well as any rotting wood that could be on the home or the porch. The kitchen is the main attraction of the home. For buyers, the kitchen can be a deal breaker if it is not up to date or not functional. Whether it is a minor upgrade or a full kitchen remodel, homeowners will get a one hundred percent return in their investment on the kitchen. Kitchens should have a functional layout, updated appliances, and an appealing design. Staircase improvements are a cheap investment that will add value to the home. Creating a staircase that adds aesthetic to the home and are also functional can be a big attraction to home buyers. Many prospective buyers are willing to spend more money on a home that has a spiral staircase rather than a home that has a regular staircase. There are many places that offer spiral staircase kits. These staircases offer a certain aesthetic appeal to the home and ultimately are the main focus of the room. Room renovations are another home improvement that most home owners invest in. Renovating an attic into a spare room will add value to your home. Also renovating a basement area into an entertainment room, family room, or another bedroom will increase the value of the home. These two rooms will add more space to the home which is desired by many buyers. Another major renovation that is commonly done in the home is a bathroom update. There can never be too many bathrooms in a home. Adding on bathrooms will increase the home’s value. Bathrooms should have a decent amount of space as well as be functional. Extremely functional and spacious bathrooms are desired by home owners. 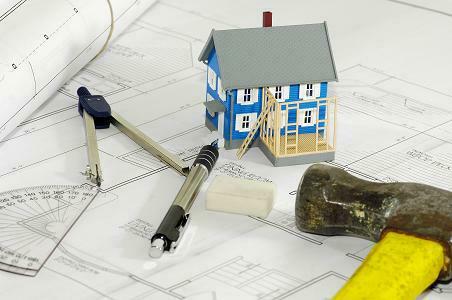 These are five of the most common renovations that are made during home improvements. Whether your home needs an update or you are getting ready to sell, any of these improvements will add value to the price of your home.